At UltraSource, we take the art of food processing and sausage making very seriously. 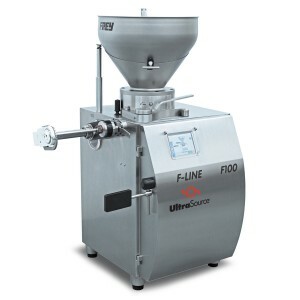 That’s why we offer a complete line of automatic, high performance Frey vacuum stuffers and accessories that meet the product quality, portioning precision, and production volume needs of meat processors and sausage makers of all sizes. - Every Frey vacuum stuffer and accessory is designed, engineered, and built with German precision to deliver an exceptional return on your investment. 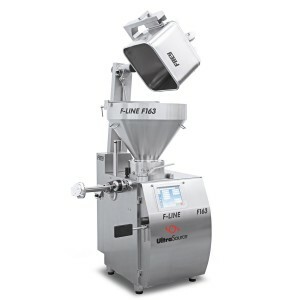 Our Frey vacuum stuffers are known for their continuous production performance that allows processors to improve their overall operational efficiency by reducing time expended on the filling process. - Through the use of digital portion control technology, Frey vacuum stuffers enable processors to effortlessly and gently distribute and fill with precision an exceptional range of palate pleasing products. 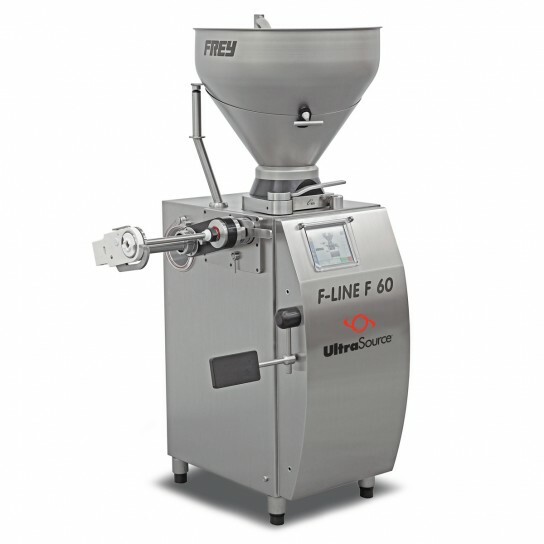 - Whether you’re producing a variety of high quality linked sausages, formed meat products, or other specialty processed meat, bakery, or dairy products, our highly dependable and versatile Frey vacuum stuffer systems and accessories deliver the product quality and consistency you need to increase sales and expand your product line! -Click here to see how easy it is to assemble and disassemble! Call 800-777-5624 now to talk with one of our Processing Equipment Specialists about how a Frey Vacuum Stuffer can help improve your production yields, quality and efficiency!